"The current political climate has created an unprecedented level of fear for our nation’s immigrant communities. 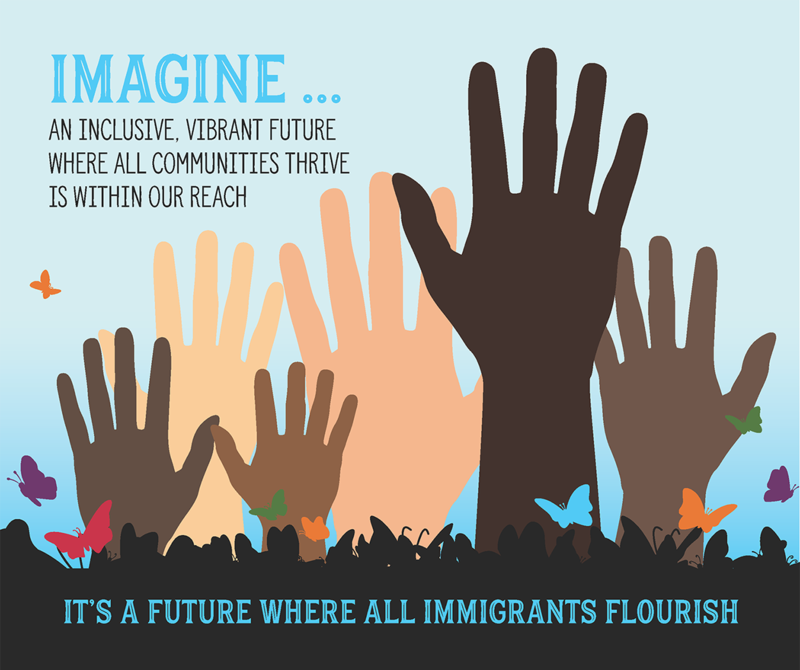 Those whose immigration status or lived experiences make them vulnerable to our current enforcement policies are pushed further in the shadows and are deterred from accessing essential community resources. The impact is multifold: the distress permeates their families and extends to their communities and local service providers. For many immigrant rights organizations, the complex dynamics of this political moment have resulted in an elevated demand for services. While some organizations have successfully secured additional donations and grants to manage the increased demand, others may not have access to the relationships and privilege needed to garner such support. The reality is that moments like this can be debilitating: organizations may struggle identifying and messaging short-term and long-term financial needs, knowing how to best resource those needs, or successfully repositioning their organizational structure and programs in response to changes in revenue and expense. Historic and systemic barriers to financial knowledge and access to capital further weaken the capacities for many immigrant rights organizations to appropriately adapt.